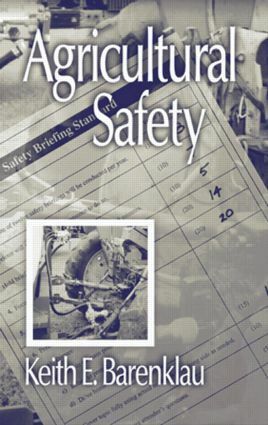 The author covers topics such as machinery operation, maintenance and repair techniques, fire loss control techniques, the safe handling of agrochemicals, and techniques involving the handling of animals. He provides you with a step-by-step manual for the procurement, handling, and storage of agrochemicals and pesticides as well as a guide to personal protective equipment and reviews safety for "third parties" and the posting of property and public warnings. To achieve safety, the work of safety must be done, measured for efficiency, evaluated in real-world terms, and corrective action taken, as needed, in a timely manner. Many books on safety provide a list of dos and don'ts. Agricultural Safety discusses the ways and means of managing and controlling accidental loss and shows you how to build safety into your operation. Must Farms Purchase Workers' Compensation Insurance?